With less than 14 seconds left to play in regulation time Virginie Bremont found herself at the free-throw line for Armentières. She made the first one and Armentières were back in front (64-63). She missed the second free-throw but Perrine Demet got the offensive rebound and was eventually fouled. Demet made no mistake from the free-throw line (66-63). Toulouse, playing at home, still had enough time for one last play. They managed to get the ball to Emmanuelle Hermouet (left) who calmly took her shot and sent the game into overtime (66-66). There was more drama in overtime as Demet once again from the free-throw line gave Armentières the lead (72-70). However 30 seconds from the end they left former Bourges Basket espoir Carole Lebouc open from the perimeter. She fired in the three-pointer for the hosts to lead (73-72). The game was then decided at the free-throw line. Gaëtane Merlot split a pair for the guests to tie the game once again. With less than three seconds on the clock, Merlot was called for a foul on Julie Minard. Minard split the pair but it was enough for the victory (74-73).For Armentières it was a sad way to end the match. They had gone into the fourth quarter leading (51-40). Toulouse hit three three-pointers within 65 seconds at the start as Hermouet and Anna Nedovic (right) went to work on reducing the deficit. Armentières were never able to regain real control after this burst and then paid the price with their generosity during the last quarter from the free-throw line. Armentières have dropped to third while Toulouse moved up to fifth place. Limoges made life difficult for them after opening an early lead (24-11) by the end of the first period against Voiron. They increased their advantage (28-11) early in the second. Then Voiron weathered storm and reduced their deficit to 11 points by the interval (29-40). Voiron continued to chase the game and got to within 4 points of their guests (44-48) but no closer before losing (59-64).This is Limoges' 11th straight win. Roche Vendée had to wait until the second half of their match against US Laveyron before making the difference. Leading (36-34) at the interval, they dominated the second half to win by a comfortable margin (80-60) with five players in double digits. Rennes have been on a run lately and notched up their third consecutive victory in beating Charleville-Mézières (65-59). Dunkerque and Illkirch-Graffenstaden have a history from their days in NF2 for offensive basketball. The match lived up to expectation with Dunkerque winning (100-95). Nice kept their cool at the end of the match to hold off Pleyber-Christ (69-63). Strasbourg ABC got back to wining way as they defeated Ifs (90-78). Charline Savage had 24 points and 5 assists and was the match winner while Djene Diawara compiled a double-double 17 points and 14 rebounds. 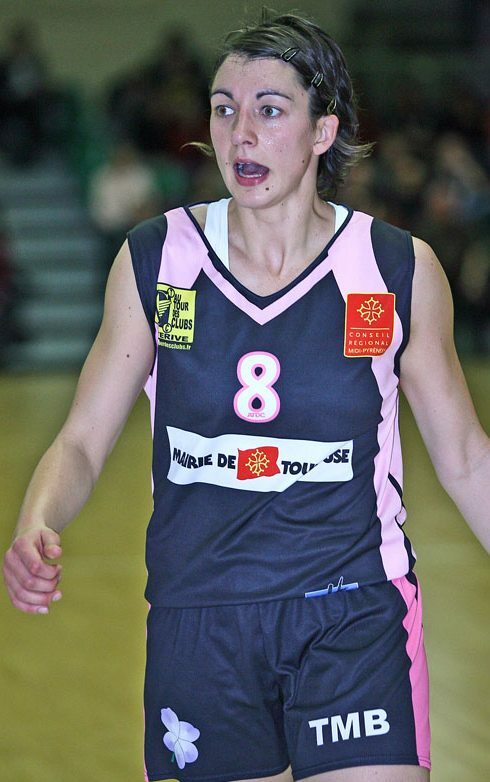 Colomiers, who have also added Kristina Cesnaviciute to their roster, had no problems in beating the CFBB (72-49).